This journey began with me (Melonie) spending years of researching my ancestry of my fathers paternal side the McKinney’s. For many years it was thought that our ancestors were Irish in heritage, later to be proven wrong. One tidbit of my 5th great grandfather John McKinney finally had surfaced after years of research and dead ends. His father was an immigrant to the new colonies in America after 1745 from Scotland. This final bit of information was discovered through this great grandfathers death certificate and his fathers birth location. The dates all made sense and why records were so difficult to find, not to mention the name MacKenzie had been interpreted and spelled many different ways once in the colonies and later on. I finally found a link to his past through much research and work looking into family history of the MacKenzie family in Scotland. Coincidentally many of the later sons were named after locations that are in MacKenzie lands in Scotland. I had joined the Clan MacKenzie group through different social media pages to later meet a cousin, Kenneth MacKenzie whom has great knowledge on Scotland and the MacKenzie family history. He is a born and raised Scot and named after many past influential MacKenzies, one being the Brahan Seer the prophecy who is compared to Norstradamus. 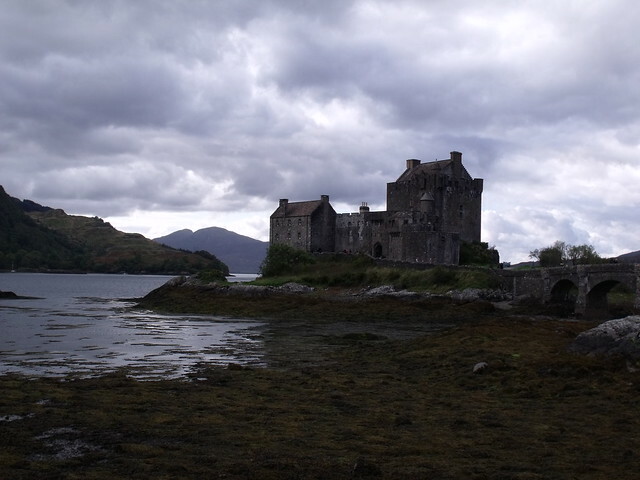 Going to Scotland had been on my bucket list since I was a wee bairn, knowing what I do now and being connected to the great Clan MacKenzie I needed to go walk in the steps of my MacKenzie ancestors. After much research about locations and sites, information provided by Kenneth and many conversations we decided to embark on a road trip to pursue this bucket list dream. We only touched on a few places with historic significance for the MacKenzie Clans and did take in many sites along the way. But to share with you what was seen I have included a link for the album at the bottom of this blog entry. After much discussion along this road trip it was decided we would merge my passion for ancestry and preservation of family history and heritage with his love for Scotland and the MacKenzie history. We decided to start a tour company that would offer assistance with ancestry searches in addition to helping one create a tour of their families heritage locations for them. Sharing both of our love of Scotland, its history, its important sites and family heritage. We hope that you would take away with a special place in your heart for this amazing country, your past and how you are connected with this heritage no matter what part of the world you are from!